Cooler weather once again has come around….maybe this time it will stick around longer than a couple of days….we can hope. 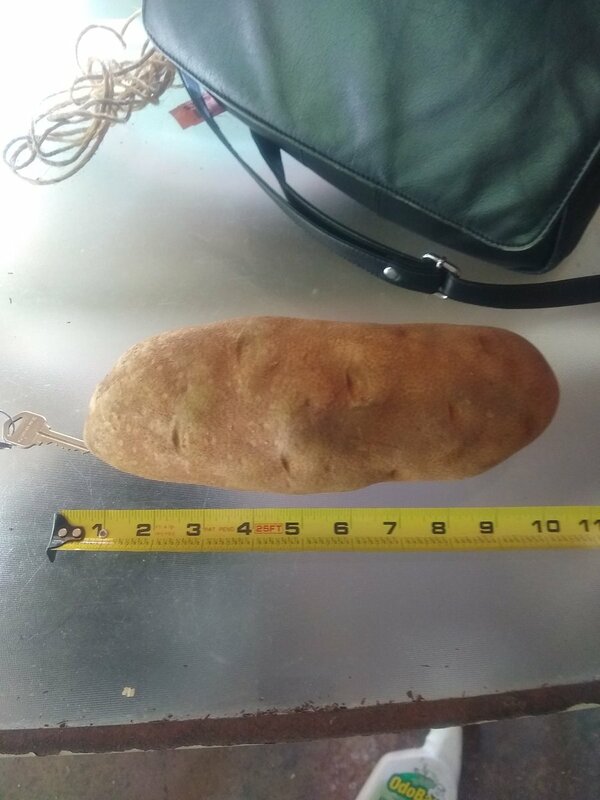 I begin my weekend posting with a photo of a potato….I love a baked potato with lots of butter and sour cream but eateries never have a big potato I have to settle for those small ones….but then I saw a great potato at my local grocery….. Enough of the foodie thingy…..we are in the middle of NFL season and we just finished the World Series…..I am not a big fan of organized sports but I do enjoy the guys at Bad Lip Reading….. These guys are genius…..they NEVER stop being funny…..it is important to start your day with humor…….enjoy! For me their takes are far more entertaining than the actual sports…..I hope you guys will have a great Saturday and enjoy yourself as much as you can. The bad lip-reading clips are always hilarious. Since the “Take A Knee” thing I absolutely avoid anything connected to professional sports. It is an addiction to stupidity that I do not miss and can well do without. I stopped watching football last year. Just organized mayhem and too many serious injuries yo be called a sport.ich happier without it. Stopped watching baseball. Too slow and boring. Don’t miss it either.